I’m an artist who sees the magic and beauty in many things, and I would like to share my experiences and all the amazing things I come across with you. Welcome to my blog about a world of beauty. I used oil pastels for the very first time two weeks ago in my experimental painting and drawing class. I was surprised with the vibrancy of the colours, and how easy they are to apply and blend. They really are beautiful to work with. There are many brands of oil pastels on the market, some are softer than others. 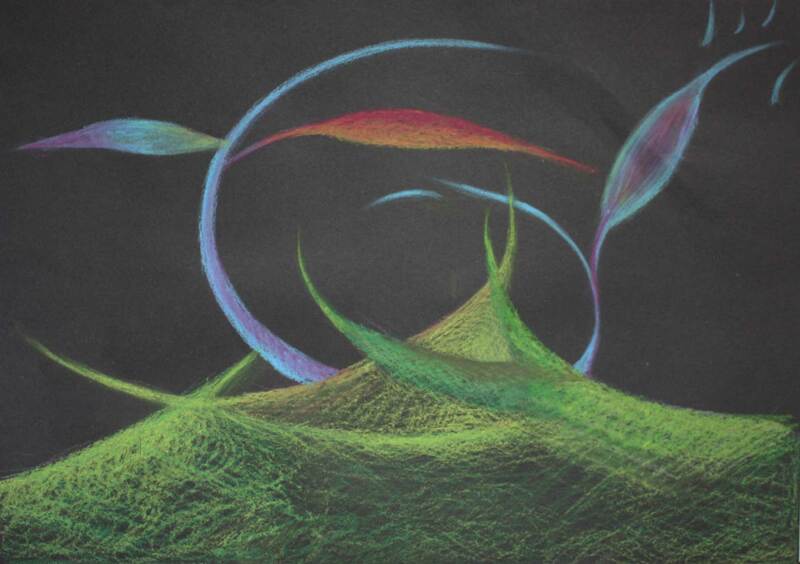 There are advantages of using both soft and hard oil pastels, and you can use both at the same time to create different effects. It is a matter of finding the right ones that suit your style of working. For quality, high pigmentation and ease of blending nothing beats Sennelier Oil Pastels. They are so soft, smooth and creamy, it's like drawing with a lipstick. Sennelier are the luxury brand of oil pastels, and the price certainly reflects the quality. They are worth every penny. There are cheaper oil pastels on the market. The pigmentation may not be as high as the Sennelier oils pastels, but they are a great way of experimenting and seeing how they behave. I have used Cray-Pas Expressionist Oil Pastels on the pieces on this page. I have tried a couple of other branded oil pastels, but in my opinion, after the Sennelier Oil Pastels, these are the best ones to use. They have high pigmentation, so the colours are vivid. They are lovely to use, not too hard, and it is easy to blend colours together without any oil pastel coming away from the paper. 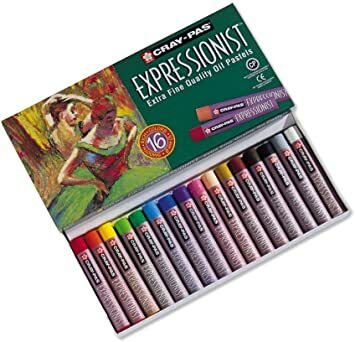 Cray-Pas Expressionist Oil Pastels are readily available to buy on-line from art shops as well as Amazon and ebay. I started the picture above with a few curved lines and then filled in the areas, using different colours and different methods of applying the oil pastels. I blended colours together using my fingers, and I layered one colour on top of the other using lines. 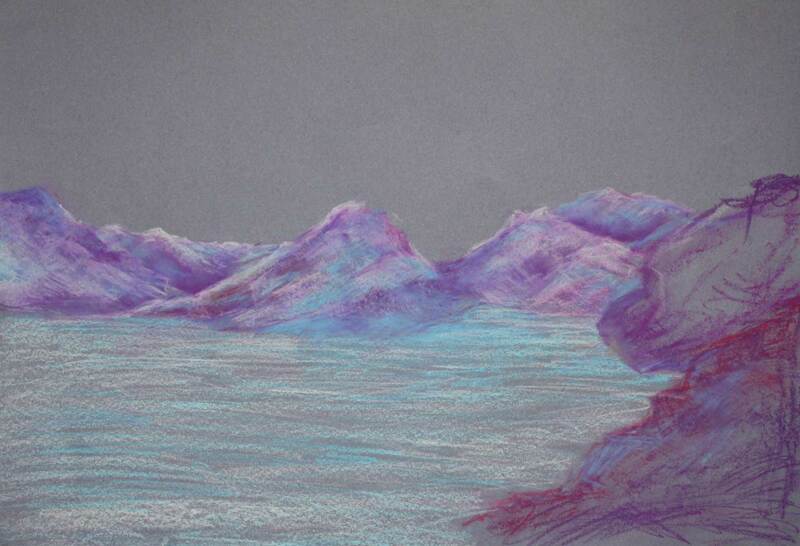 Since some oil pastels are harder than others, you can use a paper towel or cloth to blend the colours together. The picture below is not complete. I started with the outline of the mountains and applied the colours very quickly by layering the different colours on top of each other, using short and long strokes, criss-crossing the lines and blending. When using oil pastels for the first time, I think it's important to get the feel for them. It doesn't matter what you draw, it can be just lines. See how they blend, use different strokes and lines, layer colours on top of each other using both lines and block colours. Have fun getting to know them and enjoy seeing the colours come to life. 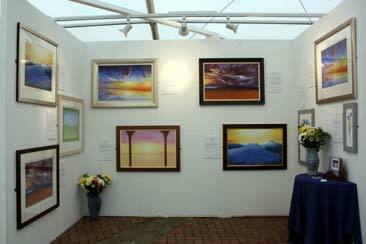 I am an independent Birmingham based artist specialising in romantic landscape paintings. With my acrylic paints I capture the beauty of nature and the power of light and colour. I ship within 30 days of payment. I give an unconditional 30 days no-fuss money-back guarantee starting on the day you receive the print or painting. I will never give your data away. (c) 2018 Priti Patel All rights reserved.